Barndominium Owner Builder Tips 2 -- This man saved big as his own GC. We recently posted the first in a series of reports on barndominium owners who acted as their own general contractor to achieve remarkable savings. In the first post, Daniel Sowell, who built his huge 6600+ sq ft barndo for around $85 a sq ft, revealed a terrific timeline with specific steps to consider in building your own barndo. In that article, too, Sowell reports that he rarely “swung a hammer” in getting his barndo built, which means he simply planned and then executed his own timeline of bringing in qualified subcontractors to take care of everything but pouring the foundation — which he just happens to do for a living. We’re going to squeeze every drop of Sowell’s considerable wisdom and advice about his build in response to questions we asked and other comments he added in the hopes of making someone else’s attempts at being an owner builder a more enjoyable and stress-free experience. What would you say was your level of building expertise before acting as owner-builder on your own? Novice, General Knowledge,Advanced Knowledge, or Expert? What steps specifically did you take on your way to building your barndo? 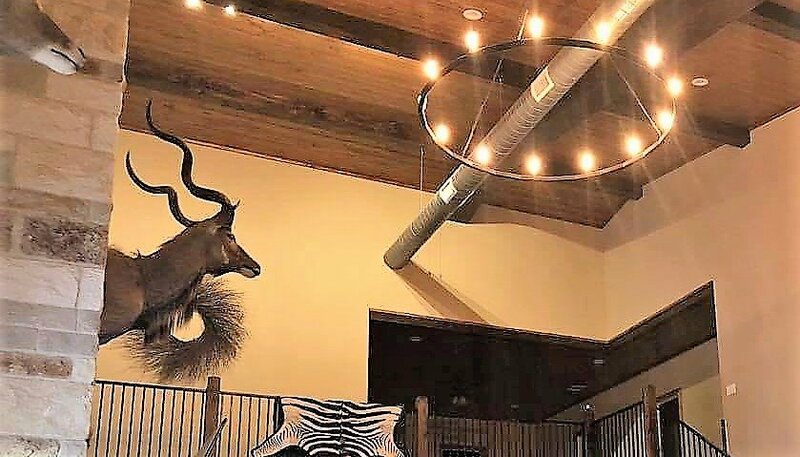 “I networked and found two different people (in my general area) that had built a barndominium similar to what I wanted and was able to tour their barndominiums prior to me having any real plans. “(This was the best thing I did and is why I built mine with 22 ft eave heights). “The property (land) that I bought, I made sure that there were no restrictions. “Worked on floor plans for only a few months prior to pouring the foundation. I never dealt with county officials (they didn’t even require a permit for septic since I have more than 10 acres). Only dealt with them for my entrance off the paved county road. “I was the GC for the project. And I specialize in foundation repair and roofing. We poured the slab right after 3 large hail storms that hit my servicing areas. Here’s a list of tasks Sowell farmed out to subcontractors. He says anyone with good organizational skills and a good plan can do the same and save big. Acting as your own general contractor can be daunting. What advice do you have about working with subcontractors? “Be careful who you hire. “Get 3 bids on any trade you don’t know anything about. How do you find good subcontractors? In one of the most complete guides on how the trades break down, who does what, and — most importantly — where to find good ones to reliably and professionally build your barndo, we’ll share a few key observations from an article on BuildingAdvisor.com. “You find subcontractors much the same way that you would find a general contractor or any other professional such as a doctor, dentist, or accountant. Ask around, talk to friends and neighbors, see who is working in your neighborhood. “If you see work being done in your neighborhood, don’t be shy. Introduce yourself, get a business card, take a look at the work if it is visible outside. If it’s indoor work, knock on the door later and ask the owner how the job is going. Ask if you can take a look –usually they are proud to show off their new project. “If the work is a large job handled by a general contractor, you may need to do a little more digging to figure out who the subcontractors are. Often the company name and phone number are painted on the side of the truck. Other times, you’ll have to walk up and ask who is doing the plumbing, electrical, roofing, tile, or whatever work it is you are in need of. “You can also ask at the local lumberyard – especially a contractor-oriented yard. However, I’ve had better luck with specialty suppliers. For example, if you’re looking for a tile installer ask at a tile retailer. For a plumber or electrician, ask at the local supply house that wholesales to the trade. If folks aren’t going to build themselves, what questions should they ask professional builders? Do you furnish an engineered concrete slab as part of your price? Does your price include doors and windows? What about high wind rating for your shell? Does your price include sprayed foam insulation? Open or closed cell? Ask for referrals…and maybe even go look at the finished barndo if possible. 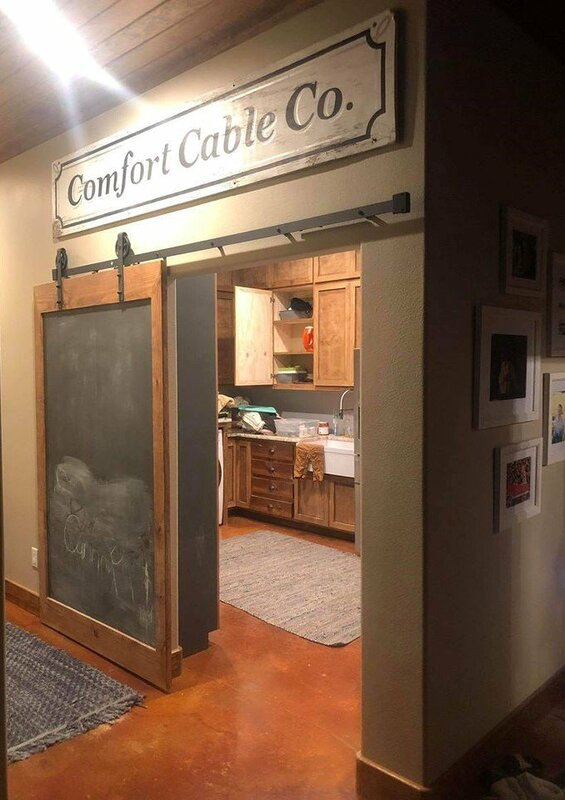 Ask how they handle finish work…plumbing, electrical, doors, tile type, etc. What should owner builders know or remember to do in getting their site ready for the shell? “Always make sure you have your drainage figured out before forming anything,” advises Sowell. “If you are unfamiliar with your soil, get it engineered and tested with core drilling samples. “Then you can figure out your concrete beam sizes and amount of steel needed. Also, says Sowell, try and think long term about your site location. Any tips on hiring welders and other crew to assemble the shell? Again, if you have little or no experience erecting a metal building, other owner builders have said emphatically that you should seriously consider buying a pre-assembled kit. They cite too many unhappy stories of owners whose shell was improperly assembled, resulting in sometimes disastrous consequences in the form of collapse from high winds or snow (see this article). FYI. 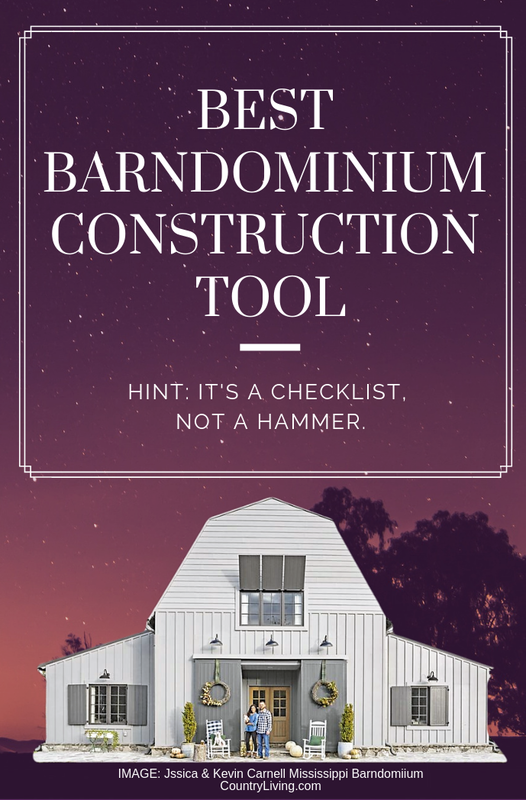 Here are the basic steps required to finish out the interior of a barndominium, no matter what size. You can, as Sowell did, just find subcontractors to do every step. Or, you can elect to just move into the shell, as many have done, and save money by doing the steps with which you are comfortable — and do so at your own pace. Some owner builders even manage to avoid a mortgage by doing this. What are the top 3 things every owner builder should know, remember or not forget? “Spray foam insulation is a must,” Sowell says. “Think long-term. Design your barndo in such a way that it is wheelchair accessible and you don’t have to go upstairs. What’s the biggest mistake you made or almost made? What has been the single biggest reward from being an owner-builder? Only $85 a sq ft over 6600 total heated sq ft.